I achieved the BHSI qualification in 1976 and then realised just how much I had to learn. From 1987-2005 I owned Rooting Street Farm Riding Centre in Kent preparing students for the BHS qualifications and coaching competition riders. In 2004 I took a sabbatical and travelled around the world for 6 months, on my own, meeting with like minds and coaching in Canada, USA, Australia, New Zealand and finally Hong Kong. I then sold the riding centre in 2005 and moved to Co. Wexford, where I still live and am freelancing. Since 2009 I have made several trips to Singapore to coach, so from rainy Ireland to hot and humid Singapore. In 2018 I was so proud to receive the BHS Bodynfoel Award at the Annual Award Ceremony at Saddlers Hall. Now in my third term of three years as Chair of this Association, I am reminded that the ethos of the F&I is to provide a platform for this elite group of professional coaches. I am fortunate to have an extremely hard-working committee to work with. I’ve had my BHSI for 24 years and now on my 11th year on the F and I committee. I freelance, judge dressage (List 2a) FEI Ground Jury to 3 & 4* eventing. 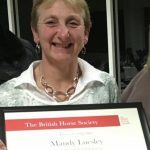 Former Assessor to BHSI level. Compete dressage and train point to pointers at home. Organise the Annual Course and Badminton and Burghley course walks. I passed my BHSI in 2003 and have been Director of Riding at Bryanston School for the last 19 years. I previously worked for 6 years in Hong Kong where I initially worked at Beas River Country club re-training ex racehorses and teaching ex pats and Chinese on their livery horses. At Beas River I worked alongside Danny Anholt where we set up a BHS training schedule for the first Chinese riders, enabling them to attain BHS qualifications with the aim for these students to be our successors. I then moved into managing the three public riding schools, promoted riding to the Chinese and hosting many FEI jumping events. I evented throughout my teens, captained University Student teams internationally, then specialised in dressage. Unusually I also have a business background, having a BCom degree, CA and CMC qualifications, and I worked with a major management consulting firm throughout the ’80s and ‘90s. Having done the Landmark Forum in 1995, I went for and achieved my BHSI in 1996, and have been part-time freelance coaching ever since. I am a BD Accredited Coach, BD Youth Trainer and Judge and work with local Pony Clubs and Riding Clubs. I am also a co-founder of EquiPosture, using the principles of The Alexander Technique. More recently I also became a BHS Approved Riding School Proprietor, running St Teresa’s School Equestrian Centre in Effingham, Surrey. This is my second stint on the committee helping F&I, and once again I’m excited to contribute in whatever way I can. 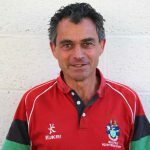 I have been the Director of Equestrian Sports at Millfield School since 2000, managing two centres with almost 100 horses in total and 25 full time staff. I am a BE Accredited Trainer and BHS Chief Assessor. I originally trained at Porlock Vale Equestrian Centre after which I ran my own business, training event horses and riders. I then spent some years running the Beas River stables in Hong Kong, before returning to the UK. I have been a supporter of the F&I Association for many years and was delighted to be asked to join the committee. A BHSI, UKCC Level 3, British Eventing Accredited Coach and under 18 BE coach. 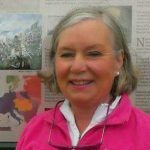 I am also the Education and Training Coordinator for Nottinghamshire and a Senior Lecturer at Nottingham Trent University, where I specialise in sport horse production, equitation and coaching. 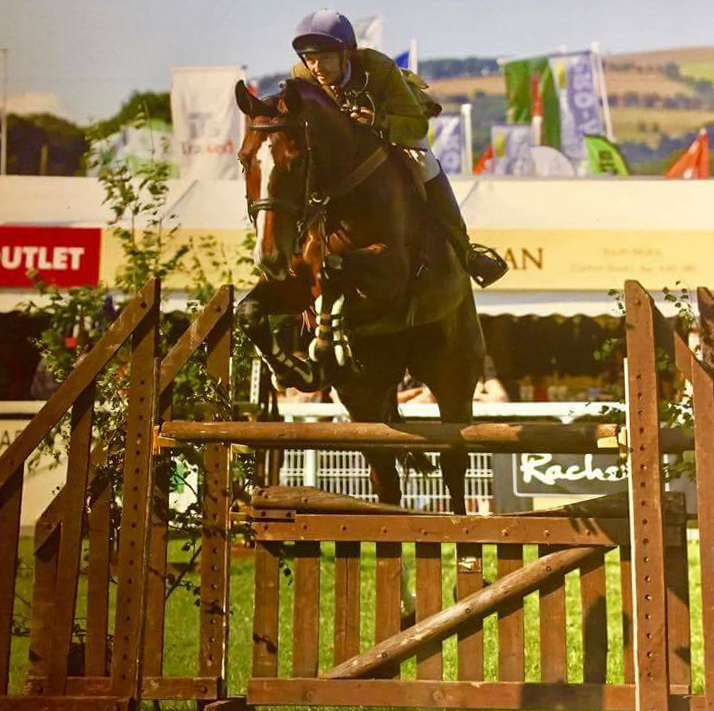 I have been involved with selecting, breeding and producing many top young horses with BEF breed status and awards and have produced and ridden horses up to Advanced, three-star level eventing and am still currently looking for the all elusive four-star ride. I have trained to PSG level dressage, competed up to medium level dressage and qualified for the BD National Championships. 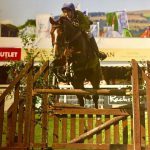 I spent a long period of my early years riding a string of horses for owners and dealers, producing horses for sale for the show jumping circuit, competing up to foxhunter and small opens classes in British show jumping. 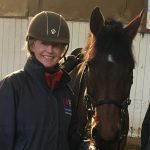 I represented GB at the British Riding Club European Championships and have ridden on many National equestrian teams throughout my professional equestrian career and have qualified horses on the equine pathway programme. I am currently studying for a Master’s degree in professional sports coaching and UKCC level 4 as well as working towards being a listed dressage judge. Entering The British Horse Society exam structure 20 years ago little did I understand what amazing opportunities an equestrian career would offer. Gaining my BHSI 10 years ago I have very much enjoyed being part of the F&I association. 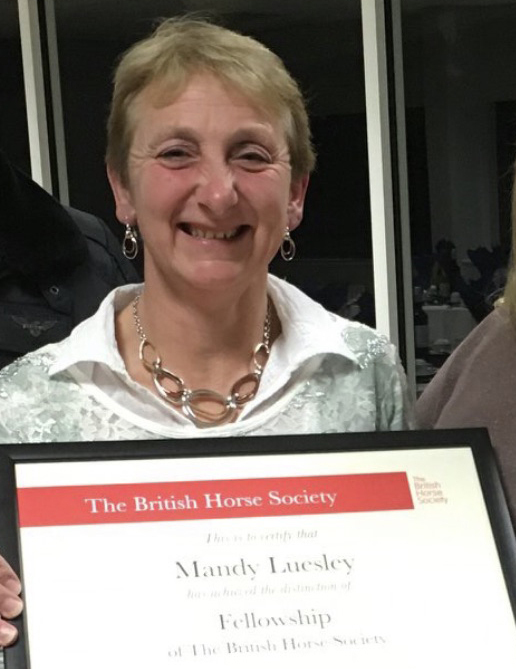 Also a BE accredited Coach, BHS Assessor, Pony Club Chief Instructor, UKCC Level 3 and more recently I am proud to have been voted as the Chairman of The British Horse Society. This role I am extremely passionate about, not only with the much needed developments within education but also the valuable work that the society does with its many volunteers. I am currently the General Manager at Wellington Riding in Hampshire. 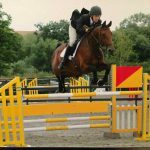 A busy equestrian centre that has a full calendar of competitions, produces over 25 professional students each year, riding school lessons, many liveries and runs exams from stage 1 through to the BHSI exam. In my spare time I love producing young horses and Eventing. I am fortunate enough to have some quality young horses and the F&I Association allows a great opportunity to train with my horses. I left school at 17 and worked in a Riding school. In 1986 I took over the lease of a yard and ran a livery yard for 23 years, during that time achieving my BHS exams, alongside competing, and starting young horses. I now run a stud and livery yard, “Horizon Oaks” on the edge of Epping Forest, and have bred a number of foals which are now competing with professional Dressage riders, and have bred the “Elite National Dressage Foal”. I freelance coach, and train many students for BHS assessments, alongside Assessing. I sit on the BHS Qualifications and Advisory committee. In 2018 I achieved a lifelong ambition of passing the Fellowship! Third time lucky. 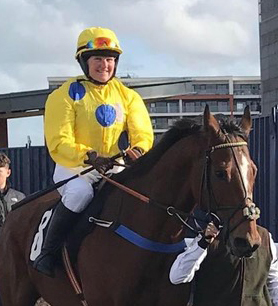 I grew up in North Wales, started out in a riding school, and attended the Northern Racing College in Doncaster when I was 16, hoping to pursue a career in racing. 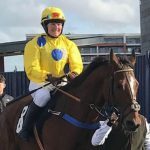 However after some thought I settled for riding out for local National Hunt Trainers and breaking yards, alongside studying and completing my BHS exams. In 2008 I became a student at Ingestre stables and came away 4 months later with enough exams to give me a platform to attempt to go it alone in the equestrian world. 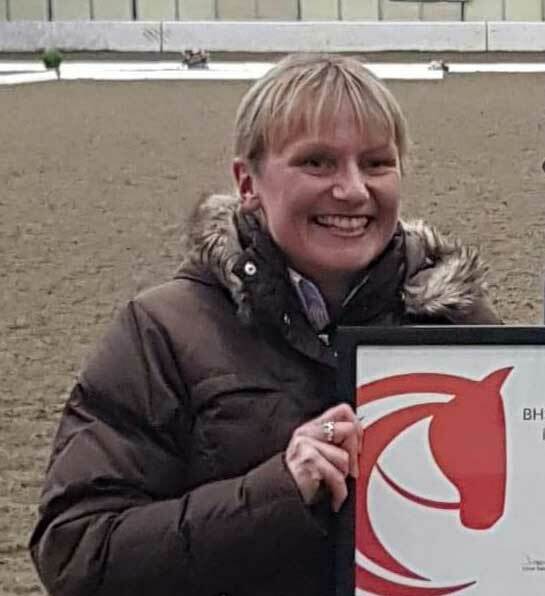 I gained my BHSI when I was 25, in 2014, and also hold a first class honours degree in Equine Science and Welfare, something that has led me to become a part-time lecturer for the Equine Degree at Glyndwr University in North Wales which I find very rewarding. I am also enjoying my role as a BHS Assessor, alongside freelance coaching, riding, and breeding a small number of competition horses & ponies. I am very lucky to have a small yard on the outskirts of Chester that I run alongside my partner Alice who is also a BHSI. 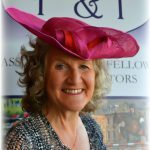 I am a huge National Hunt racing enthusiast and aim to organise more racing-themed trips for the F&I in the future. I am proud to be a BHSI, and an Assessor for BHS Stages 1 to 3. 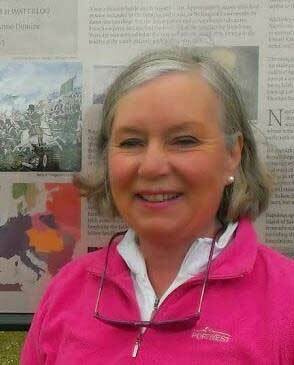 I am an FEI International 4 and 5 star Eventing Judge and List 2 Judge for Dressage Ireland. I am on SG GB BSHA, BSPS, Irish Hunter and Irish Pony Society Judges’ Panels. On Irish Pony Club Training Committee and A Test Assessor. 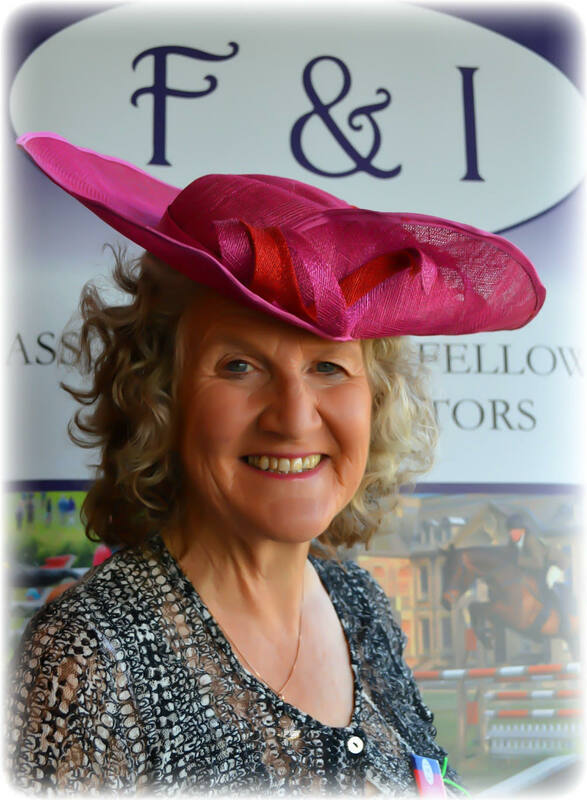 I am a Horse Sport Ireland Level 2 Tutor and Level 3 Side Saddle Coach. Formerly a lecturer in Kildalton College, now I concentrate on my private coaching Assessing and legal Expert Witness work. I compete in Dressage and Show Jumping and I hunt with Waterford Foxhounds regularly. I train competition and recreational riders for all disciplines. I am passionate about equine education and appreciate all that F&I does to further our education. As the F&I Northern Representative, my aim is to engage people and get them more involved with the Association. 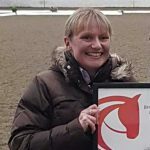 As well as being a full-time coach, I am currently a BHS Lead Assessor, a British Dressage list 3 judge and spend a proportion of my time as an Equine Sports Massage Therapist. The Association is a fantastic way for our members, who are all experienced and highly qualified people, to train together and discuss new ideas and training methods. We plan to organise more training sessions for members in our area and to increase the number of active members we have. Please contact me if you have ideas for training days. I gained my BHSI in May 2018, having decided to come back to exams after gaining my BHSII in 1993 when I was at Warwickshire College doing an Advanced National Certificate in Equine Business Management (distinction). 2018 was also the year of becoming a BE Development Coach and Pony Club Specialist Coach for Eventing & Tetrathlon. At the Scottish BE ball 2018 I was humbled to be awarded BE Personality of the Year. 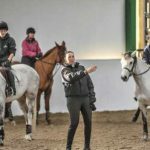 Coaching is my passion individually, Pony Club, BE, Riding Club, camps…. as long as people are hungry to continue developing at any level. I continue to train regularly and compete BE, BD & BS. I’m delighted to be asked to be the Scotland rep for the F&I Association.